Unfortunately, heart screenings are not a part of regular well-child checkups or pre-participation sports physicals, despite the fact that studies show the standard non-cardio focused approach to youth checkups misses 90% of youth at risk for sudden cardiac arrest. EKGs have been shown to be the most effective screening tool. The stethoscope was invented 200 years ago: the fact is that heart conditions that may trigger SCA can only be seen, not heard. That’s why international guidelines recommend youth be screened every two years through age 25. In Italy, for example, screenings for high school athletes has led to a 90% reduction in sudden cardiac deaths. We advocate that parents request their doctor to order a youth heart screening, especially if warning signs or risk factors are present. The Eric Paredes Save A Life Foundation is part of national movement working to educate parent and medical communities about the critical need for this type of preventative care in our youth healthcare framework. 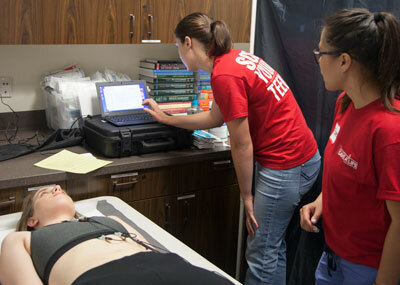 Until that day, we will continue to provide free heart screenings for area youth. A Cardiac Risk Assessment inventories physical symptoms that may indicate you have a heart condition. The parent and youth should complete this form together. An Electrocardiogram (EKG/ECG) measures your heartbeat from 12 electrodes attached to your body. It can detect approximately 60% of heart conditions. 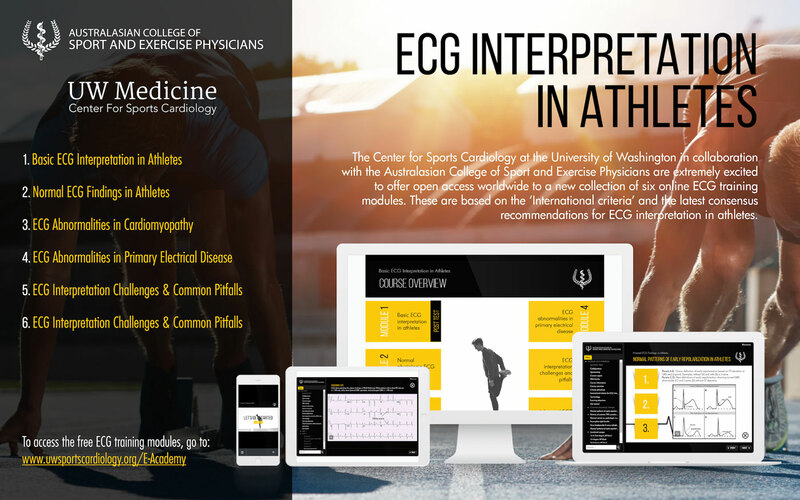 The Eric Paredes Save A Life Foundation uses the International Criteria for ECG Interpretation in Athletes to asses each ECG. Endorsed by a world-wide consortium of cardiology, inherited cardiac disease and sports medicine experts, this consensus criteria reduces the false positive rate to as low as ~1.5%. An Echocardiogram (echo) is like an ultrasound, an imaging method that uses sound waves to capture precise images of your heart. Each is read by a cardiologist who talks directly with youth and parents about the findings. Youth are referred back to their own physician for follow-up on any cardiac abnormalities identified at the screening. Conditions identified can be treated with lifestyle modifications, medication and/or surgery to correct the abnormality or reduce further risk of sudden cardiac arrest. In some cases, sports activity is limited. Our medical director is also available to consult with your doctor regarding the screening findings. Digital copies of the EKG are available upon request. Click here to request your copy. EP Save A Life offers free screenings in San Diego County. To find a screening elsewhere in California or in your state, visit Parent Heart Watch or Screen Across America. We use the International Criteria for EKG Interpretation to read EKGs performed at our screenings. Any doctor can review the criteria by viewing this free training module and apply in their own practice for the most current interpretation standards.